Located in South Florida's bustling Broward County just minutes from Fort Lauderdale, The SAWGRASS GRAND Hotel and Suites ushers in a new era of modern style in one of the state's premier business and leisure destinations. An anchor in South Florida's mix of high-tech companies and powerhouse retail centers, the service-driven 291-room hotel is a sought-after destination for sports enthusiasts, shoppers and sightseers alike, offering easy access to the soccer and rugby-friendly Kics Sports Complex, Sun Life Stadium, BB&T Center and nearby Sawgrass Mills Mall, as well as the Everglades, beaches and popular South Florida attractions. Make yourself at home in one of the 180 air-conditioned guestrooms. Complimentary wireless Internet access is available to keep you connected. Bathrooms have showers and hair dryers. Conveniences include phones, as well as safes and complimentary newspapers. When you stay at La Quinta Inn & Suites Sunrise Sawgrass Mills in Sunrise, you'll be in the suburbs, within a 10-minute drive of Sawgrass Mills and BB&T Center. 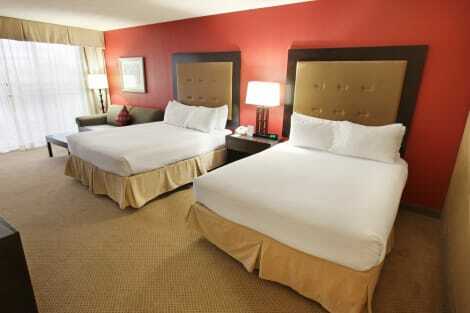 This hotel is 7.8 mi (12.6 km) from Flamingo Gardens and 11.5 mi (18.4 km) from Nova Southeastern University. lastminute.com has a fantastic range of hotels in Sunrise, with everything from cheap hotels to luxurious five star accommodation available. We like to live up to our last minute name so remember you can book any one of our excellent Sunrise hotels up until midnight and stay the same night.